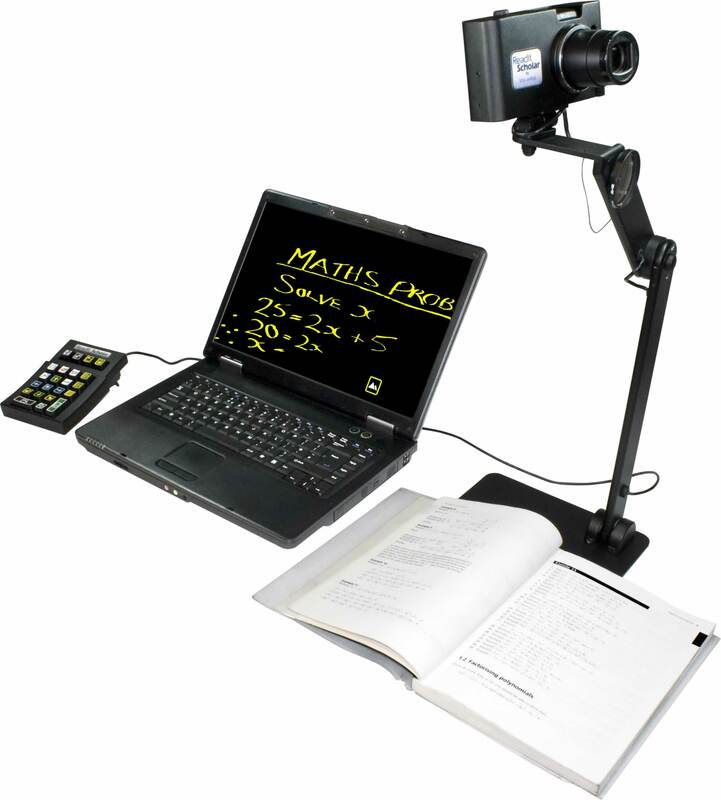 Readit Scholar - portable close up and distance viewing with a difference! Readit Scholar is our latest portable Autoreader / CCTV system. Weighing just 1.5 kg (3.3 lbs) it is the ideal solution for users on the go. As well as full close up and distance CCTV functionality, Readit Scholar has the unique ability to capture both closeup (up to A3 or double Letter in size) and distant objects. Any text can then be automatically scrolled on screen and read aloud in seconds! What are Readit Scholar's benefits? Users Read Faster: This is Readit Scholar's main benefit. With digital capture up to A3 (or double Letter), OCR of close up and distant objects, and speech output, users can read over twice as fast as traditional units for longer periods with less strain so they can focus on the meaning of the documents, rather than struggling to just read it. Read back of your documents: Users get the benefit of both automatic scrolling AND speech output of their document if they wish, further helping to increase reading speed and document comprehension. 9 megapixel images: Readit Scholar's image resolution is 3x that of the nearest alternative product for closeup capture and a staggering 30x larger for distance capture. This means you get superbly sharp images for OCR at both closeup and distance. Distance Capture: See distance objects in a new way. Instead of trying to finely adjust the camera to see an area of a whiteboard or projector, simply capture the whole screen then move it around with your mouse or trackpad. You can even read any text back out loud! No X/Y table required: Even for large documents and books, Readit Scholar's virtual X/Y table with word wrapping means once you've captured a document, you'll never again accidentally miss a line when reading. Storage / Export: Entire books can be stored and retrieved with the press of a button so they don't have to be carried! Even export them to MS Word for editing! Fast Set Up time: Readit Scholar has been specifically designed to be as fast to set up and take down as possible - it takes less than 15 seconds. Just unfold it, plug in one USB connector and you're ready! No Batteries: All Readit Scholar needs is one USB 2.0 port - no need to worry about keeping a separate battery charged. Incredible price: Laptop units that only offer close up and distance viewing are more expensive! Who is Readit Scholar for? Readit Scholar has been specifically designed for the requirements of students, business professionals and anyone on the move with a laptop PC. However, it also makes an ideal desktop solution that can easily be moved between locations (e.g. home and work). 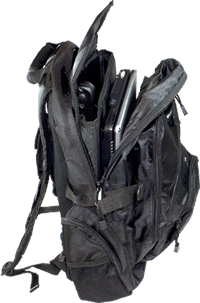 Simply remove it from its included rucksack, plug into your laptop or PC and you have full CCTV with Distance Viewing, Auto Reading, Speech and more. Whole books can be captured, read and scrolled back automatically. The whiteboard can be magnified 40x and your handwriting can be enlarged as you write! Weighing just 1.5kg, it folds flat and needs no batteries so is extremely portable.